A walk through the English Garden from Digital Dubuque. 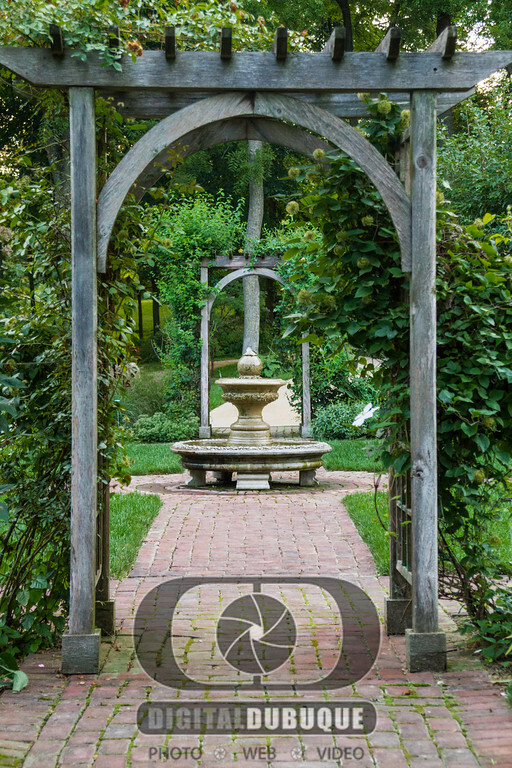 This formal English garden was designed by Donna and Chris Dumbell, residents of England with roots in Dubuque. It was commissioned by the children of the first Arboretum president, Frank Hardie, and his wife, Georgette. The garden’s 60′x60′ symmetrical design incorporates low hedges, a brick walkway, and a water feature … favoring the more formal aspects of a traditional English garden rather than the more loosely-constructed cottage garden.